The combined information in two articles within a recent edition of Science News Journal can lead to some intriguing speculation. One of the greatest assumptions of the search for extraterrestrial life is that we will likely find life where there is water. This is a valid hypothesis, for we know that life, as we know it on earth, requires water as a starting point. Single-celled life on earth is thought to have first developed in the sea in structures resembling soap bubbles, bacterial cells are approximately 70% water, and humans are known to be 50-60% water. So, life forms with which we are familiar require large quantities of water. But, what might we find on other worlds? A recent article entitled, “Potential ingredient for alien life found on Titan,” suggests that life might be possible in places where the predominant chemicals are liquid methane and vinyl cyanide. One can readily guess from the names of these chemicals that such life would be incompatible with life as we know it on earth, but might be possible in other forms. Primitive cell structures based upon water and proteins can form on earth and it is possible that such cell structures might also form, given the right conditions, in oceans of methane with vinyl cyanide. Poly-vinyl linkages of such compounds could form protein-like structures that encase other molecules that, in turn, act like RNA and DNA equivalents. Titan, a moon orbiting around Jupiter has such chemistry and could harbour some form of primitive life. The other article in the same edition of Science News reports on the discovery of the first exo-moon. An exo-moon is a moon which orbits a planet which, in turn, orbits around a star in a distant solar system. The existence of such exo-moons expands our knowledge of potential environments where life might be possible. 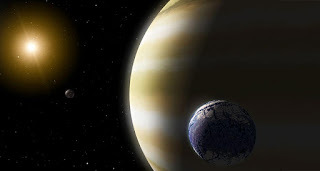 There are very few exo-planets that have been found to be in what are known as habitable zones. This exo-moon discovery suggests that there may be a great many more potential habitable zones in which liquid water exists. Couple this finding with the possibility of vinyl cyanide-based life forms, and the field in which to search for other life forms expands significantly. Is life a once in a universe happening? Is Earth the only place in this universe where replicating, auto-sustaining, growing, and dying creatures exist? The search will go on as we continue to speculate about what might be possible. Earth is one small planet in a vast galaxy within a vast universe. The mind of the Creator is unfathomable when it comes to questions regarding why he created so much space. Are there other patterns of life out there? Did they spontaneously evolve? Was there a Master plan? Let us continue to ask good questions. 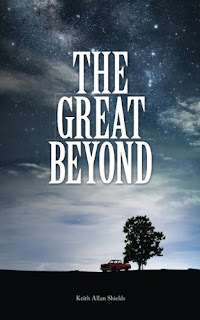 Those who read this blog regularly may want to check out my latest project, a book entitled The Great Beyond. While it is a novel, it wrestles with significant issues related to how we see life, death, and the spiritual world. Here is the summary from the back of the book. You can find the book on Amazon.ca, Amazon.com, and Amazon Europe. After you have read it, leave a comment here or on my Facebook Page. Below are a few endorsements from friends who read a pre-print. Keith Shields takes us on a riveting interstellar journey through The Great Beyond. Bridging seamlessly from fantasy to space travel to the interior of the human heart, Shields never loses sight of a narrative arc rich with thought-provoking symbolism and memorable characters. A brilliantly imagined world." "This is not the type of book I usually read so I was not sure what to expect, but it proved surprisingly thought-provoking. The Great Beyond serves as an excellent resource for those with literary backgrounds or those who think philosophically. Shields skillfully guides readers through a creative and coherent journey of faith and imagination that we can experience and enjoy." Dr. Bob Logan, Author of The Discipleship Difference (2016) and The Leadership Difference (2017). 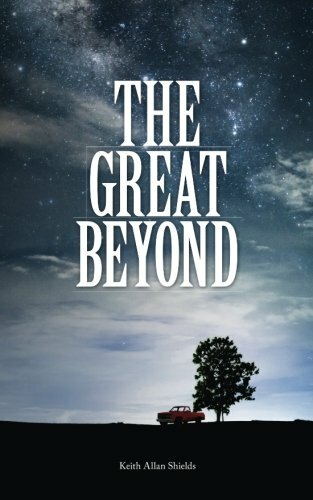 The Great Beyond enflamed my imagination and stirred within me a refreshing perspective on the afterlife. I appreciate how Keith told a modern-day tale filled with vivid imagery. The pace kept me engaged from start to finish. I believe this story will give readers hope and inspire true faith. Cam Taylor, Author of Detour, 2017. "What is truth?" 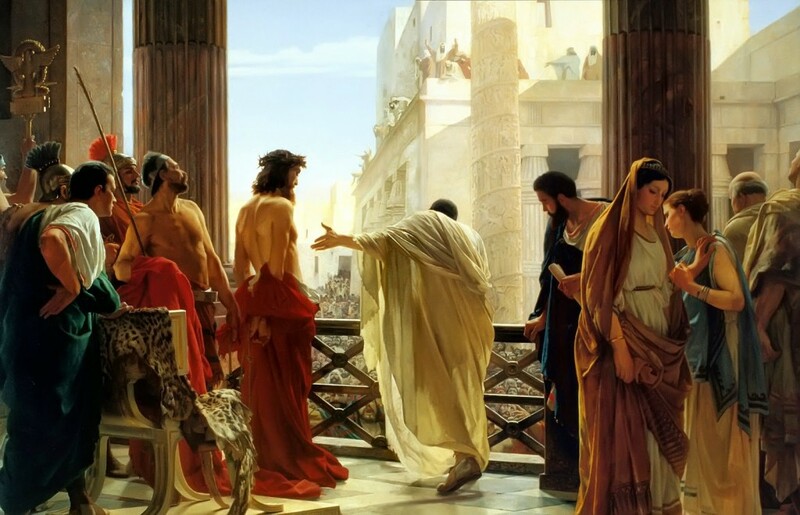 Pontius Pilate CE 33; John 18:38. I feel like I may have used one or both of these quotes before. However, it seems with every passing day that these words become more important. A recent article in Wired Magazine reviewed and critiqued the various Artificial Intelligence (AI)-powered devices known as home assistants or homebots. Tucked into the innocuous article was “A NOTE ABOUT PRIVACY.” It is perhaps the most relevant part of the article and reminds us of something we have all been thinking for more than a decade. In a world of bank machines, cell-phones, smart-phones, internet browsers, and homebots, we have chosen to get services for a reduced cost or “free.” What we have traded for these free services is information about our choices. This is an invaluable commodity for those who would sell us products or services. 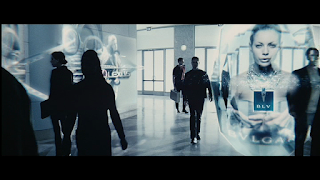 The movie Minority Report (2002, Directed by Steven Spielberg) envisioned a world in which shopping malls would be filled with personal advertising to appeal to our particular tastes and purchasing history. 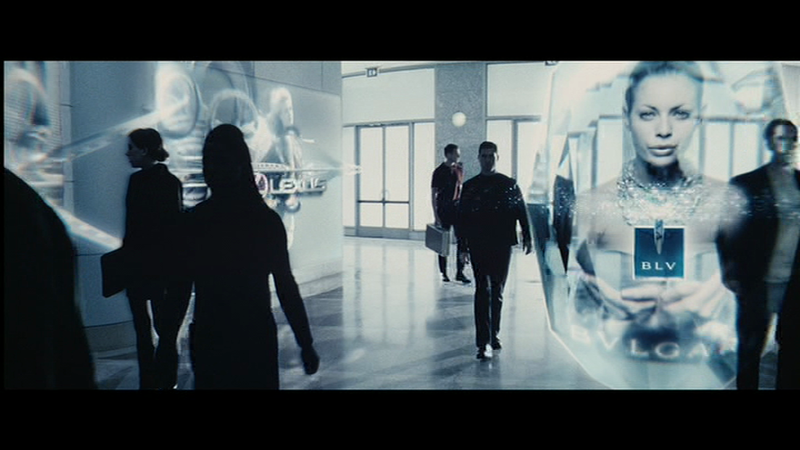 The movie came out in 2002 and seemed implausible at the time. In 2017, we are tiny steps away from this view of advertising. Such advertising may seem invasive, but the things your smart-phone can do - so convenient!